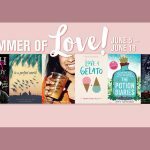 We love to constantly bring you new books to read on Riveted and we’ll keep it going throughout the summer! 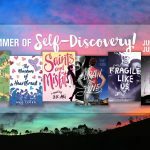 For each theme in Riveted Summer, you’ll have at least THREE extended excerpts (lengthy chunks of brand new and upcoming YA titles) and at least TWO full reads (recent YA books you can read AND finish). We’re ramping it up for the summer! Expect more posts from Riveted and more from our authors! 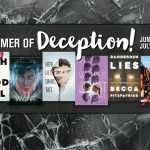 Behind the book posts, book lists, quizzes…..all the fun stuff you’ve come to love and expect from Riveted! And we want to hear from you, so don’t hold back: al bookish fangirling (and fanguying) is more than welcome. In fact, it’s appreciated! 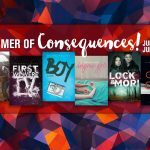 You know we love giving away books and swag and we’ll have more coming your way this summer! You can look forward to at least one giveaway to go along with each theme, plus a mega-giveaway at the end which may just be our biggest giveaway yet!